Boris Werner (Get Physical, Soweso, Amsterdam/NL)Dutch DJ Boris Werner’s love for house music runs deep – so deep, that his passion for house music is evident in every set he plays. A venue-filling personality with a decade of experience – armed with releases starting with his first one on Remote Area and continuing on Supplement Facts, Rush Hour, Moon Harbour, Soweso, Get Physical and a residency at the world famous club TROUW – his eager performances and crowd-pleasing antics keep him in high demand across dance floors the world over, from DC-10 to Studio 80 and beyond. Cutting his teeth across some of the most influential nights in Holland, his flawless reputation to work any crowd has marked him as an exciting figure – one that’s ready to inject club-land with a refreshing, restless approach to the dance floor. Boris’ skill as a DJ sees him blend all strains of house – from percussive funk to bass heavy grooves – delivered with effortless ease. With influences as diverse and broad as Arthur Russell to ‘90s golden era hip hop, Boris produces top-quality club experiences, delivered with sparkling personality, daring diversity and a well-honed ear for delivering a memorable party – time and time again. After becoming a permanent fixture on Amsterdam’s scene, Boris soon began co-hosting the city’s legendary MONO parties with Lauhaus & Aron Friedman in 2002. This paved the way for a pivotal residency in 2005 at Vreemd, the legendary weekday party at Amsterdam’s club Sugar Factory. Every Thursday, the crowds would hang of his every kick & bassline, all at the mercy of his endless expertise and razor sharp techniques. It’s a slot he didn’t miss for four years straight all the way through to 2009 – no wonder the crowds love his dedicated attitude and fun-filled vibe. In October 2010, Boris ‘Wip Wap’ Werner played a huge 10 hour set to celebrate 10 years of musical genius at the legendary Studio 80. Giving the crate-digger a chance to take the crowd through a myriad of his sounds and styles, the night’s success was followed up in 2011 with an 11 hour stint, before a 15 and a half hour marathon in 2012. Whether he’s DJing ALL NIGHT or spending days on end in the studio, Boris displays passionate dedication and unrivalled knowledge in all he does – the stuff that’s the envy of his peers, all wondering what the restless DJ’s next trick will be. 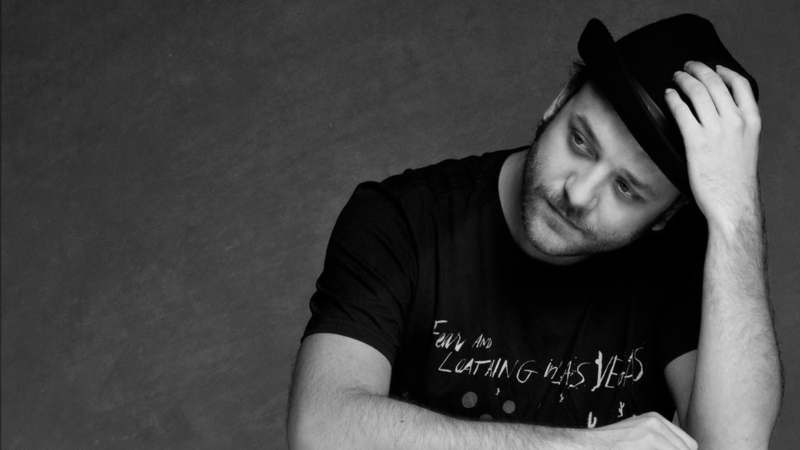 His reputation as a DJ’s DJ has helped Boris to conquer clubs, events & festivals all over Europe. After gaining wind of his rising name, Boris was invited to play for the biggest clubbing brand in the world, CircoLoco, a spot he’s regularly helmed over the past three years at Ibiza’s legendary DC-10. Spreading love through his carefully honed art, Boris’s global reputation continues to grow after slaying the Likes of Sankeys New York, Truth South Africa, D-Edge Brazil, Mysteryland Chile and The BPM Festival Mexico besides dozens more. Together with a credible selection of tunes and remix credits (including Renato Cohen, C-Rock, Tom Trago and Matthias Tanzmann to name a few), Boris displays the hallmarks of a rising force in contemporary dance music. Back at home in Amsterdam (alongside close friend & rising figure William Kouam Djoko) Mr Werner has called the curtain on ‘Late Night Society’, a party set at Amsterdam’s coolest underground club, Trouw. dOP, Ion Ludwig, Tom Trago, Jamie Jones, Tom Ruijg, Robert James, Visionquest, Lee Curtis, Mr G, Mathew Jonson, Wareika, Thomas Martojo, San Proper Guillaume & The Coutu Dumonts, Soundstream and Seth Troxler have all joined the pair as guests, purporting a ‘dress up chic, act like trash’ motto at the fabled club that’s become the buzz of the town. Straight off the back of a lengthy touring schedule that included a Dutch record breaking 22 hour DJ set at Studio 80, Amsterdam’s finest after-hours champion is back with a two track EP on Voyage Direct (the label of his Amsterdam friend Tom Trago), bringing his eclectic, visionary blend of techno clout, house rhythm and rolling effect all delivered in triumphant, leftfield fashion. 2015 also sees the next phase in Boris Werner’s trajectory as he takes his party aesthetic further around the world, demonstrating himself as an artist and DJ within the wider, global clubbing scene.